Check items to add to the cart or select all. If you see no checkboxes the related product has required options and cannot be added here. 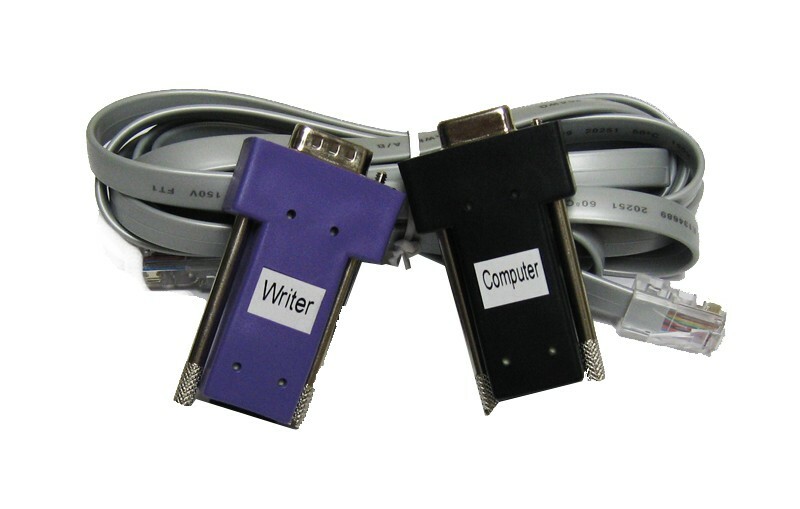 This Realtime Writer Cable kit includes an 8-Foot flat black cable along with computer & writer adapters. To see a list of writers that are compatible with this cable kit please refer to the ADDITIONAL INFO & TECH SPECS tab. Our adapters are injection molded adapters, meaning that they are a single, solid piece of plastic instead of 2 hollow pieces glued togther. What does this mean to you? It means that these units are stronger and last longer than anything on the market today! Before ordering this item, please be sure that you have an available 9-Pin serial port on the computer you wish to use this cable with. If you do not have an available port you will need to purchase a serial adapter, which can be found as related items on the left side of your screen.